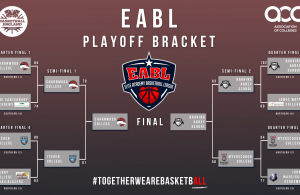 The climax to an intense day of finals saw one of the competition’s greatest ever comebacks as Charnwood College denied Barking Abbey a third straight EABL title following a 75-63 win. With three quarters in the books, Barking had established a healthy lead, up 63-44 with 10 minutes remaining. What followed left the crowd at Essex Arena stunned as Charnwood reeled off a 31-0 4th quarter, shutting out their hugely talented opponents in the frame for an unforgettable victory. The first quarter was tightly contested with both teams trading baskets to keep the score close. But through a few strong post moves by Hosana Kitenge and a great and-one lay up, Charnwood would go into the break up 19–14. The second quarter started with a strong run from Barking, taking the London side into lead following an impressive basket from Jonathan Brown in transition. Lloyd Gardener’s team continued their positive play as Barking built a slender advantage before Charnwood responded in kind to leave the score evenly balanced at 35–31 by the half. Coach Lloyd Gardener clearly said all the right things duringthe break as Barking came out all guns blazing to quickly push the game in their favour behind some great play from Ade Adebayo. Barking continued to work hard and slick offence was coupled with intense defence, forcing multiple misses from Charnwood as the difference on the score board grew. To end the quarter, Tautvydas Mieliauskas and Chris Feeney hit back to back threes for BA to take the quarter 32-9 and an overall lead of 63-44. With that kind of momentum on their side, it made the 4th quarter even harder to believe. The final frame started with a quick 5- 0 run for Charnwood that at the time looked to simply make the game a little more interesting. Barking then got into foul trouble with both Robin Bedford and Jonathan Brown fouling out mid way through the quarter. Charnwood’s momentum then began to tell as the Midland’s programme moved through the gears at both ends of the court to quickly diminish their arrears. With Charnwood’s Niall Harris showing why he was Northern Conference MVP with an impressive scoring display, he eventually helped to push his side out in front and seal a comeback that will be talked about for a long time to come. 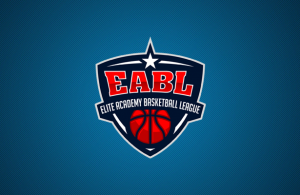 ← Previous Story PREVIEW: Charnwood College face Barking Abbey in EABL Finals!